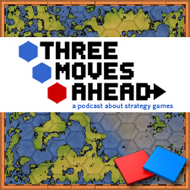 This week, Bill Abner from No High Scores returns to the show along with new guest Dirk Knemeyer from Conquistador Games. What do they have in common? Both have better OOTP league teams than Troy does. The trio talk about the improvements in OOTP 13, what makes the OOTP series so special and enduring – if sometimes confusing, and why sports management games are some of the purest strategy games available. Bill sets Dirk straight on some things, Dirk complains about not finding stuff and Troy owns up to the worst free agent signing in baseball history. Register at Idle Thumbs then join us in the episode thread to talk about it. And you can still support Dirk’s Kickstarter for Road to Enlightenment!